Labor Secretary Silvestre Bello III has denied being in talks with Chinese officials about a plan to hire domestic workers from the Philippines. In a phone interview with The SUN, a Filipino publication based in Hong Kong, Bello said that he haven't had any talks with Chinese officials regarding this. 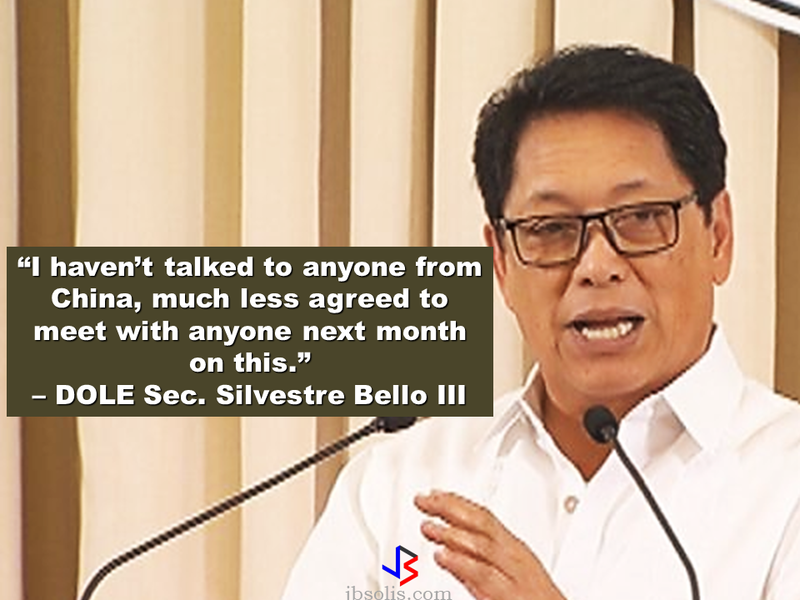 “I haven’t talked to anyone from China, much less agreed to meet with anyone next month on this,” Secretary Bello said. He also said that he is not aware that anyone from the Chinese embassy in the Philippines visited his Undersecretary, Dominador Say, disclosing such plan. It is not in his very knowledge that there is a plan for a follow-up meeting next month. Philippine Ambassador to China Chito Sto. 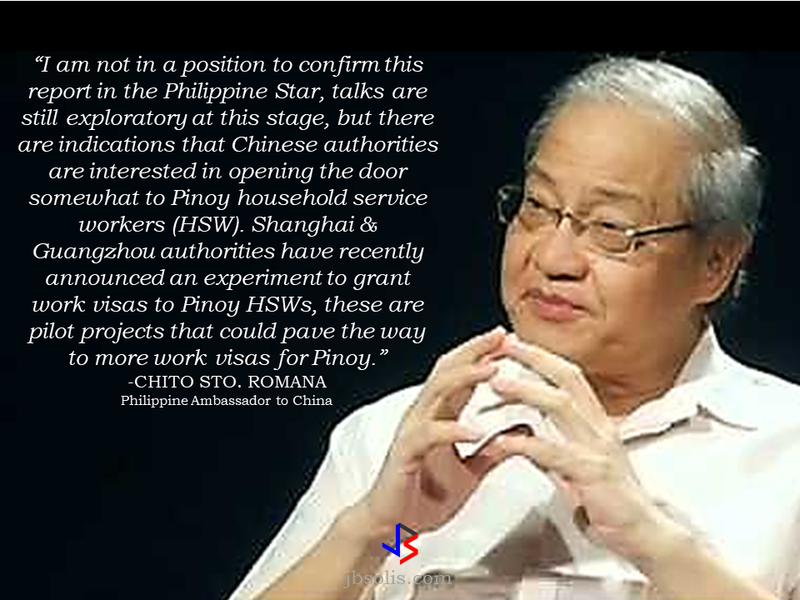 Romana said there had been indications that China plans to open its door to Filipino domestic workers, but, he was not aware about what Undersecretary Say disclosed to various news publications in Manila, including Philippine Star. “I am not in a position to confirm this report in the Philippine Star, talks are still exploratory at this stage, but there are indications that Chinese authorities are interested in opening the door somewhat to Pinoy household service workers (HSW). Shanghai & Guangzhou authorities have recently announced an experiment to grant work visas to Pinoy HSWs, these are pilot projects that could pave the way to more work visas for Pinoy,” Sto. Romana said. The statement from Undersecretary Say recently stirred up confusion even in the news agencies. 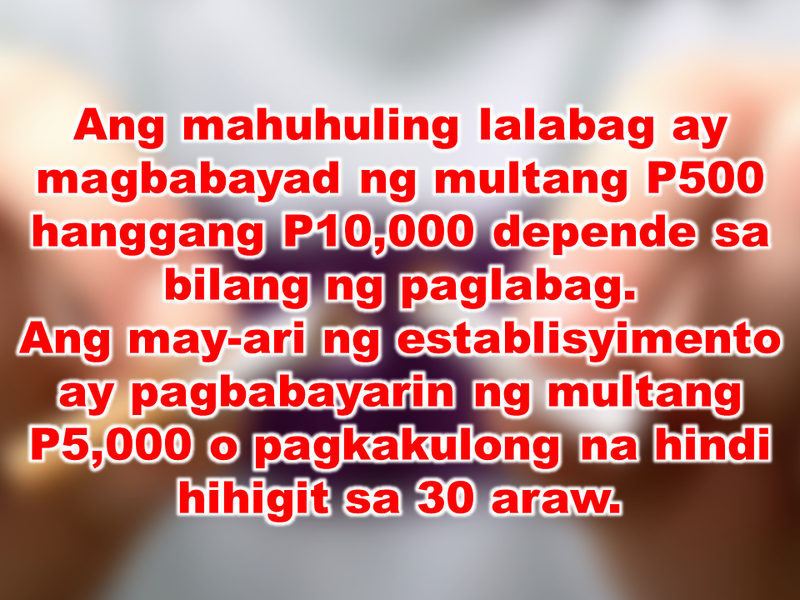 The Philippine Star quoted Say as saying that the salary to be given was Php100,000 (US$1,980), while on the report published by the Manila Bulletin said that China will be hiring 100,000 workers every month with possible P50,000 salary. Usec. Say later told the South China Morning Post that the reported salary offer was far from accurate. However, he stood by his original statement that he discussed the plan with Chinese embassy officials. Say also said that China wants to hire 100,000 foreign domestic workers, but not all would be Filipinos. Further, he said the scheme will be put in place in five major Chinese cities, including the capital, Beijing, and Shanghai. 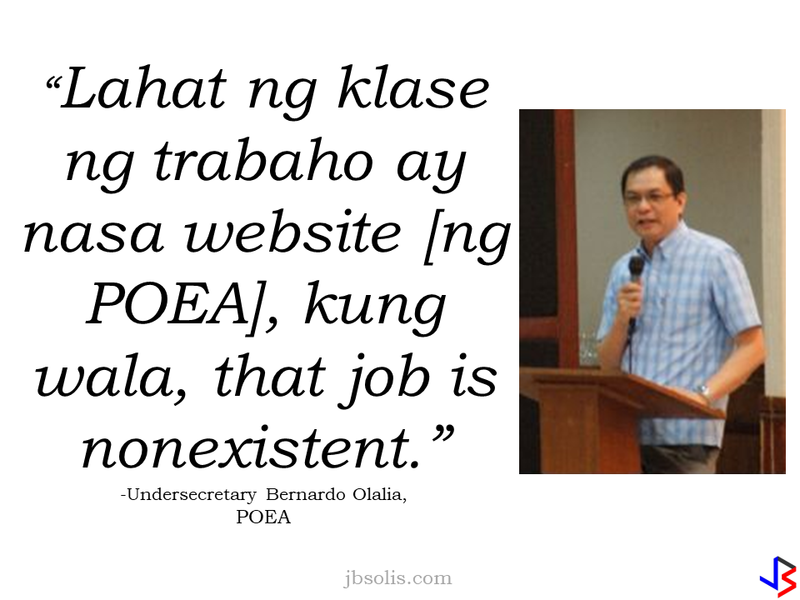 His statements were immediately dismissed by the acting head of the Philippine Overseas Employment Administration (POEA), further causing confusion. ABS-CBN interview with, Undersecretary Bernardo Olalia said it was not true that there were 100,000 jobs available for Filipino domestic workers in China. The only jobs readily available at the moment are only for teachers and call center agents. 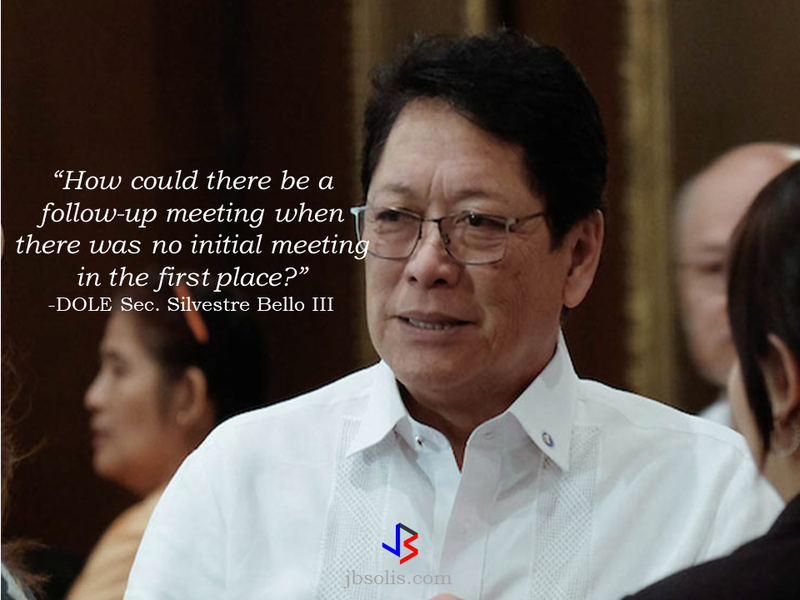 These conflicting statements from his two undersecretaries prompted Secretary Bello to schedule a meeting on Aug. 3, to try and sort out the issue. but he reiterated that what was clear was that he had not met with anyone from the Chinese government on the reported plan. Say’s statements caused clamor among domestic workers in Hong Kong, saying that if the reported salary was true, they would prefer working on the mainland. Most domestic workers are known to get between 6,000 and 7,000 yuan a month, which is far higher than the minimum allowable wage of HK$4,310 a month paid to their counterparts in Hong Kong. Guangdong province and Shanghai have recently reportedly allowed foreigners to hire domestic workers from overseas. 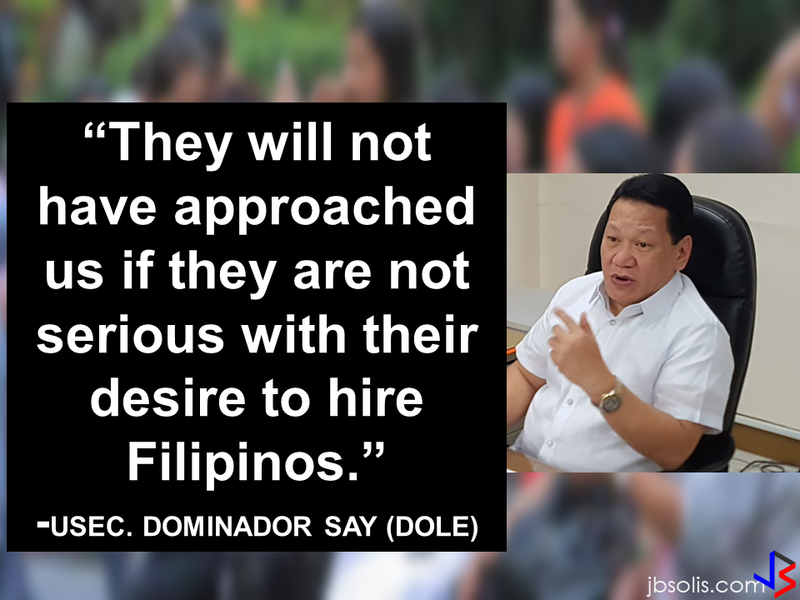 However, it is not clear how many Filipinos have been hired under this scheme. 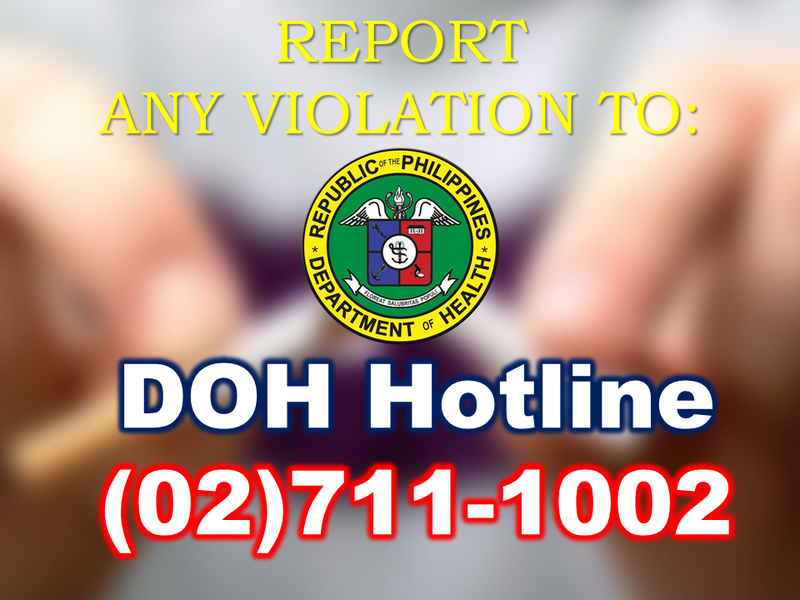 After the meeting between DOLE officials, the public, especially the OFWs will hopefully be enlightened about the issue.